NUR-SULTAN – In an exclusive interview to this newspaper, Akim (Governor) of Kyzylorda Region Krymbek Kusherbayev discusses major developments in the region to develop industry based on the public-private partnership principle, promote tourism to the region famous for hosting the Baikonur space launch site, among other subjects. What is on the agenda in terms of social and economic development? What is being planned to improve performance in the coming years? We developed a plan of priority actions of the Akimat (regional administration) of the Kyzylorda Region for 2019 in accordance with the state-of-the-nation addresses of the President of Kazakhstan of Oct. 5, 2018, “Growing Welfare of Kazakh Citizens: Increase in Income and Quality of Life,” of March 5, 2018, “Five Social Initiatives of the President,” state programmes, Strategy of Socio-Economic Development of the region for 2020 and taking into account the current economic situation. territorial development (development of settlements of the region and the city of Baikonur). national rally of volunteers under the motto Healthy Generation – Key to Healthy Nation! dedicated to the International Day of Volunteers with the involvement of non-governmental organisations. The main task of maintaining macroeconomic stability is establishing and strengthening competitiveness through the modernisation of the economy on the basis of diversification, PPP and investment and innovation, which will ultimately ensure the growth of the welfare of the population of the region. introduce Smart Qyzylorda mobile application to improve the quality of life and well-being of residents. As part of the project management there is a need to implement the Basic Industrialisation of Certain Sectors of the Manufacturing Industry and the Mining Sector, Support for Export-Oriented Enterprises and Development of the Fuel and Energy Sector projects. At the same time, industrial enterprises of the region began to introduce new production technologies within the framework of the Digital Kazakhstan programme. 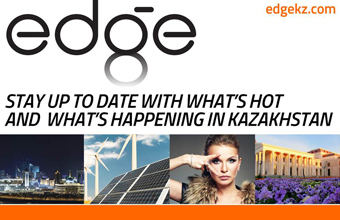 Kazgermunai LLP introduced smart field technology within the approved roadmap for the digitisation of the fuel and energy sector of the Ministry of Energy of the Republic of Kazakhstan. The introduction of digital technology will increase oil production by 1-2 percent, increase the period of time between repairs to 700 days, reduce operating costs to 10 percent and increase the efficiency of management decisions to 20 percent. In the uranium mining sector, Baiken-U LLP introduced a robotic complex of finished product units which will completely remove manual labour, automate the entire algorithm of loading transport packaging containers with products and improve the environmental potential of the area. The launch of these projects, in turn, will contribute to the increase of labour productivity in the manufacturing industry and the emergence of new export-oriented products with the use of new innovative technologies in the industry of the region. In 2018, industrial enterprises of the region produced products in the amount of 930.4 billion tenge (US$2.4 billion). The volume index is 93.1 percent. The volume of construction works amounted to 93.3 billion tenge (US$244.3 million) or 122.1 percent compared to the corresponding period of 2017. Approximately 699,600 square metres of housing, or 114.3 percent compared to the corresponding period of 2017, were put into operation. The volume of gross agricultural output amounted to 97.7 billion tenge (US$255.8 million), or 101.6 percent to the corresponding period of 2017. During 2018, the region produced 36,300 tonnes of meat of cattle and poultry in live weight, milk (cow) – 86,400 tonnes and eggs – 8.3 million pieces, or 103.4 percent, 101.9 percent and 123.8 percent, respectively, compared to 2017. In the transport area, from January-December 2018, the volume of cargo transportation amounted to 104.5 million tonnes and remained at the level of last year (100 percent). The volume of cargo turnover amounted to 14,228.7 million tonne-kilometres and increased by 2.4 percent compared to the corresponding period of 2017. Motor transport of the region carried 397.4 million passengers or an increase of 8.2 percent compared to 2017. Passenger turnover during this period increased by 6.9 percent and reached 6,977 million passenger-kilometres. In the social field, the unemployment rate was 4.8 percent (for the third quarter of 2018). During the period 29,738 people were employed, including permanent jobs (19,342), paid public jobs at the expense of local budgets (6,613), youth practice (2,701 people) and social jobs (1,082). In January-December 2018, 11,384 new jobs were created, including 10,925 permanent ones. The average monthly salary per employee for January-September 2018 amounted to 129,570 tenge (US$339.27) or 107 percent compared to the corresponding period of 2017. The consumer price index in December 2018 compared to December 2017 amounted to 105.6 percent, including food products (104.9 percent), non-food products (106.6 percent) and paid services (105.5 percent). In terms of taxes and budget, the state budget received 135.8 billion tenge (US$355.6 million) in taxes and other obligatory payments or 102 percent compared to the forecast; the republican budget received 80.8 billion tenge (US$211.6 million) (102.0 percent of the forecast) and the local budget received 55.0 billion tenge (US$144 million) (101.9 percent of the forecast). How much foreign investments have been attracted to Kyzylorda region in 2017 and 2018? What are the most important projects in the construction, manufacturing and agro-industrial fields? Within the second five-year plan of the industrialisation programme, 25 projects worth more than 512 billion tenge (US$1.3 billion) with the creation of 5,400 jobs will be implemented in the region (seven have already been implemented). in the framework of nationwide teleconference, with participation of the President, we launched the first regional enterprise for cement production ahead of schedule. The company employs local staff who have been trained in existing factories in the People’s Republic of China. Currently, the company has produced more than 11,000 tonnes of clinker, the main component for the production of cement. The plant’s products will be widely used in construction, oil and gas and nuclear industries. We are continuing construction of the glass factory with the participation of the Chinese company China Triumph. The project has consumed 1.68 billion tenge (US$4.4 million) of investments in 2018. Now, the Chinese company has committed to put the plant into operation this year and today is engaged in the redesign of the installation scheme for the tin melt bath and annealing furnace. As the second stage of the project, the Chinese company intends to act as an investor – the construction of a plant for the production of ultra-thin and ultra-transparent glass. Pre-project activity has been completed. This project will be a breakthrough and unique. We exported 218 tonnes of ammonium metavanadate from vanadium deposits of Balassauyskandyk to the UK and Russia. The volume of exports compared to the same period of 2017 increased by 70 percent (2017 – 128.5 tonnes). In the lead-zinc field of Shalkiya we have continued working on engineering infrastructure (technical and drinking water, external power supply, electricity and intake of Zhanakorgan), resolved financial issues of the project, determined the German company Dobersek as the developer of the mining and processing plant and laid the capsule of the mining and processing plant. There are plans to start construction of the plant in 2019. To date, the market of soda ash is 100 percent covered by imported products, the annual volume of which is 400,000 tonnes. In this regard, we started working on the project of construction of the Aral Soda LLP soda ash plant with a capacity of 300,000 tonnes per year. To implement the project, we engaged the Chinese transnational company Haixi Desheng Soda Ash. This plant will be the only one in the country producing soda ash, which will cover 75 percent of the country’s needs for these products. Seven hundred new jobs will be created after commissioning. In the field of agriculture, the construction of a poultry farm with a capacity of 1,500 tonnes per year and a plant for deep processing of fish have continued. The initiator of the project for construction of a plant with a capacity of 24,000 tonnes of tomato paste per year together with the Turkish company Tat sowed four varieties of tomatoes by drip irrigation as an experiment on 10 hectares of land in the Zhanakorgan area. As a result, 100 tonnes of tomatoes have been collected on 10 hectares of land and 60 tonnes of products have been sold. In general, the export of products by the projects of the Industrialisation Map in real terms increased by 27.7 percent and the volume of products produced by industrial projects increased by 32 percent. 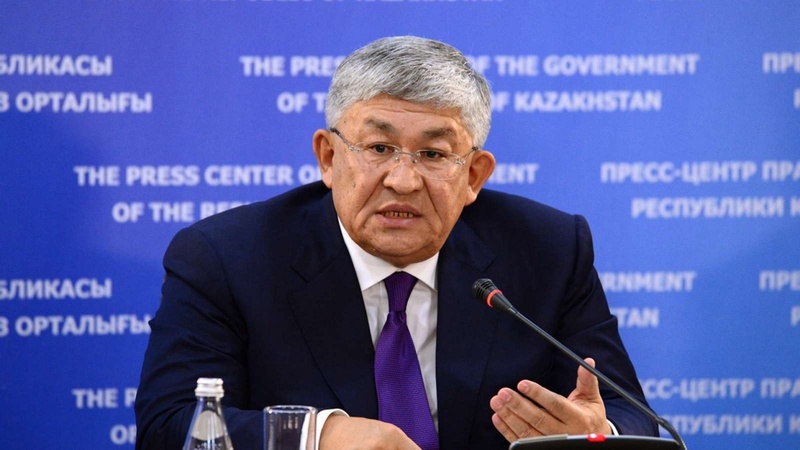 As a result of the work carried out in 2018, the volume of investments in fixed assets increased by 25.5 percent and amounted to 325.5 billion tenge (US$852.3 million). In particular, the volume of investments in the manufacturing industry increased by 37.6 percent (33.3 billion tenge (US$87.2 million)) and the volume of external investments for 12 months of 2018 compared to the same period of 2017 increased by 1.7 times (98.25 billion tenge (US$257.3 million)). Could you tell us about the work and projects in the field of public-private partnership (PPP)? one project in the field of social security and environment. two projects on the installation of gas service in social facilities of the Shieli region. two transport projects including regular repairs and maintenance of region roads 472.24 km long. To date, we have a positive state expert review. A tender is being held to determine a private partner to carry out regular repairs and maintenance of highways. The second project is the construction of a new passenger terminal in Kyzylorda Airport with Kazakhstan Project Preparation Fund LLP. BI-Industrial is the private partner. An agreement has been signed with BI-Industrial to develop a feasibility study, design and estimates for the project. All PPP projects planned to be implemented in the Kyzylorda region are cost-effective, as well as provide for the costs of maintaining facilities through the provision of paid services, which will significantly reduce the burden on the budget. What is being done to attract tourists? How many tourists visited the region in 2018? The statistics for nine months of 2018 (the final statistics will be published in April) showed that 42,815 people visited the Kyzylorda region, out of whom 41,218 were residents and 1,597 were non-residents. The region has 93 hotels (49 of them in Kyzylorda) with 1,085 rooms with an average price of 7,180 tenge (US$18.80). Eighteen hotels in the region are registered in the international Booking.com Internet booking system. The one-time capacity is 1,954 beds. The total amount of work and services performed during this period amounted to 663.8 million tenge (US$1.7 million). Since early 2018, five hotels have been put into operation in the region (Prima Park and Rosso hotels at the Zhana-Arai and Zhalagashtobe complexes in Kyzylorda and Er-As in the Shieli region). On May 21, 2018, the Akimat approved a 2018-2020 regional action plan for tourism development in the region. In order to develop the existing tourist potential of the Baikonur launch site, following the example of the successful development of space tourism at Cape Canaveral, the concept of the Baikonur entertainment and tourist area was developed. To date, we defined 1,576 km of land along the Western Europe-Western China highway in the Karmakshy region (10 km from Baikonur). Currently, work is underway to register a land plot for the Baikonur area. Moreover, this project was presented to the current Prime Minister Askar Mamin during his working visit to the Kyzylorda region in July 2018. On Aug. 27, 2018, together with the Kyzylorda Tourist Association and the Sayakhatshy Kyzylorda Public Association, a concept for tourism development in the Kyzylorda region was drafted. To create an attractive tourist image of Kyzylorda region, the delegation of our region took part in the 18th Kazakhstan International Tourism & Travel Fair (KITF 2018) at the Atakent Exhibition Centre in Almaty. The fair presented the tourist potential of the region, including the Baikonur launch site, the Korkyt-Ata memorial site, the Zhanakorgan health resort and other significant tourist sites. The region, along with South Kazakhstan and Zhambyl regions, is part of the Revival of the Great Silk Road cluster. Visitors were particularly interested in tours to the Baikonur launch site presented by the Otrar Travel tourist agency. In addition, the fair featured models of rockets and souvenirs of artisans from our region. A delegation from our region also took part in the 15th Kazakhstan International Exhibition Astana Leisure 2018. On July 13-14, 2018, the region tourist meeting My Motherland – Kazakhstan (Zhangyrgan Zhastar) dedicated to the 20th anniversary of Astana and the 200th anniversary of Kyzylorda was held as part of the Rukhani Zhangyru (Moderinsation of Kazakhstan’s Identity) programme at the Kambarkol recreation site, the aul district of Ekpindy of Zhanakorgan region, to develop mass tourism among adolescents and young people in the region, nurture patriotism of the younger generation and promote a healthy lifestyle using tourism methods. The event was attended by graduates of region schools (80 school graduates) who scored more than 100 points in the Single National Testing (SNT). On Sept. 29, 2018, an event dedicated to World Tourism Day was held in the Arai Sunrise camp with the participation of over 80 students of higher and vocational educational institutions. The exhibition and festival Kilem-Fest 2018 (Oct. 19, 2018) was held in order to popularise and develop craftsmanship and honour the 200th anniversary of Kyzylorda. We took part in the 15th Kazakhstan-Russia Interregional Cooperation Forum New Approaches and Trends in Tourism Development in Kazakhstan and Russia on Nov. 8-9, 2018 in Petropavlovsk. To construct roadside service facilities along the Western Europe-Western China highway, 44 points have been identified in the region. At present, 25 facilities have been commissioned with a total investment of 5.681 billion tenge (US$14.9 million) and 690 jobs have been created. Since the beginning of 2018, three facilities have been commissioned. Could you tell us what is being done to improve the transport system in Kyzylorda region? In 2013, a total of 13.045 billion tenge (US$34.2 million) was allocated for the development of the transport infrastructure of local roads and streets in settlements. These funds were used to mend 272 km of the road. For the development of design and estimates – 173 million tenge (US$452,989). Overall, there are seventy-seven projects in total. In 2018, 41 projects were completed, 12 projects are planned to be completed in 2019 and 24 projects are being transferred to 2020. This year, work will be started on eight new projects – the construction of one bridge and the medium repair of motor roads. Since 2016, work commenced on full repair of 13.4 km of region roads in the Shieli and Zhanakorgan regions of Zhanakorgan-Tugisken-Kelintobe, 10 km of Shieli-Kargaly-Baikenzhe-Zhanakorgan and 29 km of the access to the Botabai settlement. Medium repair and commissioning of 28.4 km of the region motor road Samara-Shymkent-Kamystybas-Amankotkel-Bougen in the Aral region. Medium repair was carried out and 7.4 km of the region motor road Shieli-Kargaly-Baikenzhe-Zhanakorgan were commissioned in the Shieli region. Full repair of a bridge at 1,942 + 200 km of the Samara-Shymkent motor road in the Shieli region. In 2018, the percentage of motor roads in good and satisfactory condition of region and regional significance reached 63.5 percent. Alongside this, the Kyzylorda region organised 211 bus routes connecting 212 settlements, towns, auls (villages) with regional and region centres. Sevenintercity routes from the region centre to Aktobe, Almaty, Astana, Saryagash, Shymkent, Turkestan and Zhezkazgan were organised. For 2018, transportation carriers carried 397.4 million passengers, compared with this period in 2017, an increase of 8.2 percent. Passenger turnover for the same period amounted to 6,977 million passengers per km, which is an increase of 6.9 percent compared with 2017. In 2017, a new municipal bus depot was opened with parking for large-capacity buses, a gas station and a car wash to help service new communal buses. In order to develop international road transportation, from July 18, 2018 a regular international Kyzylorda-Tashkent-Kyzylorda bus service was launched. In addition, in terms of the digitalisation of the region, the project implementation of the automated accounting system NAS at a bus station in Kyzylorda is being executed. The project is delivered at the expense of Saltanat LLP (Project cost is 3.0 million tenge (US$7,855)). To date, this automated system is running in test mode. In July 2018, the Moscow-Kyzylorda-Moscow regular international flight was launched with a frequency of four times a week. To date, 113 flights have been performed along the Moscow-Kyzylorda-Moscow route and 12,089 passengers have travelled. The length of the main railway network in the Kyzylorda region is 1,055 km. Currently, 20 pairs of trains pass through the region, seven of which are interstate (Kyrgyzstan, the Russian Federation and Uzbekistan). The region centre organised the operation of five pairs of trains along inter-region routes No. 21/22 Kyzylorda-Almaty-Semey, No. 55/56 Kyzylorda-Kokshetau, No. 75/76 Kyzylorda-Petropavlovsk, No. 89/90 Kyzylorda-Astana Nurly Zhol (Talgo), No. 617/618 Kyzylorda-Zhezkazgan and No. 6,843/6,844 Kyzylorda-Besaryk-Turkestan. On Aug. 22, 2014, the Zhezkazgan-Saksaulsk-Beyneu railway line was put into operation. In March 2016, the operation of inter-regional train No. 617/618 Kyzylorda-Zhezkazgan was organised connecting settlements located along the railway line with the regional and region centres of the Aral region. Beginning July 1, 2017, passenger train No. 6,843/6,844 Kyzylorda-Besaryk-Turkestan having two cars of Prigorodnye Perevozki with a frequency of five days a week (Monday, Thursday, Friday, Saturday, Sunday) started to operate. On its way, the train covers all regional centres, stations and passing points (stations Belkol, Berkazan, Solo-Tyube, Tartugai, Baygekum, Shieli, Tomenaryk, Zhanakorgan, Akkum, Talap, Besaryk, etc.) of the southern part of the region. The socially significant inter-regional railway route Kyzylorda-Besaryk-Kyzylorda is subsidised from the regional budget. In January-December 2018, 138.2 million tenge (US$361,867) of subsidised funds were spent (100 percent of the total amount allocated). After commissioning the Zhezkazgan-Saksaulsk-Beyneu railway line, the length of the Kyzylorda section from Saksaul station to Koskol station was 271.3 km. Along this railway lines, three stations (Abai, Karashegen and Promezhutochnaya) and 10 passing points were built and commissioned. Moreover, 38 duplex houses are planned to be built after the construction of the Beineu-Zhezkazgan railway is completed. In October 2014, eight houses were constructed and handed over to the families of railway workers. The construction of the remaining 30 houses is planned to be completed in March 2019.